Anita has been a successful practicing Shiatsu Therapists since 1994; completing a 2200 hr Shiatsu Therapy program at the Shiatsu School of Canada. Furthering her hands-on therapeutic practice, Anita graduated from the Massage Therapy program at Mount Royal College in 1999. 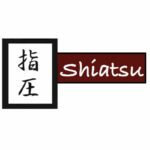 She is the course developer and instructor of the Shiatsu Therapy Certification Course formerly held at Mount Royal University; as well as operating their student Shiatsu clinic. Anita has demonstrated her abilities as an educator, instructing several courses within the Mount Royal’s Massage Therapy diploma program. Anita has developed a series of Shiatsu continuing education courses for health practitioners that she instructs for Seminars for Health.